Last modified on February 6th, 2019. Once you have successfully installed Innoslate, you will have created an Administrator account. Log into Innoslate and you will see an Organization Dashboard with all the Innoslate Projects that have been created in your organization. You have access as an Owner for all the Innoslate Projects in your Organization. As such, you can delete Projects, as well as access all the information within them. Administrators of the Innoslate database have always had access to the data from these Projects, since they could access the database directly. This capability just enhances your ability to control the Projects. You will automatically be directed to your 'Admin Dashboard' upon logging in to Innoslate. If, however, you are within the Organization Dashboard and wish to return to your 'Admin Dashboard,' you may do so at any time by clicking 'Admin Dashboard' in the toolbar located at the top left of your Organization Dashboard page. Click the "New Organization" button at the top of the Admin Overview page. Fill out the organization form. Note: The "Slug" is a unique identifier for your org that will need to be all lowercase normal characters with no spaces. Innoslate will use this identifier for the duration of your work within this organization. 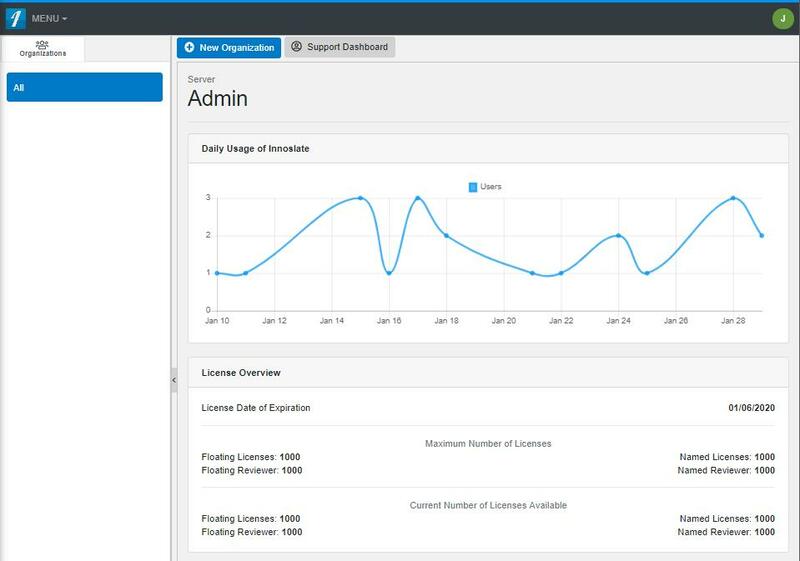 You will automatically be directed to your ‘Admin Dashboard’ upon logging in to Innoslate. If, however, you are within the Organization Dashboard and wish to return to your ‘Admin Dashboard,’ you may do so at any time by clicking ‘Admin Dashboard’ in the toolbar located at the top left of your Organization Dashboard page. 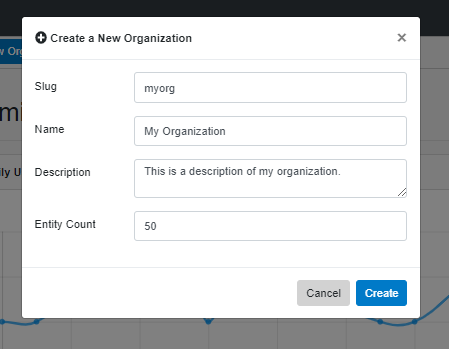 Click the “New Organization” button at the top of the Admin Overview page. Fill out the organization form. Note: The “Slug” is a unique identifier for your org that will need to be all lowercase normal characters with no spaces. Innoslate will use this identifier for the duration of your work within this organization.